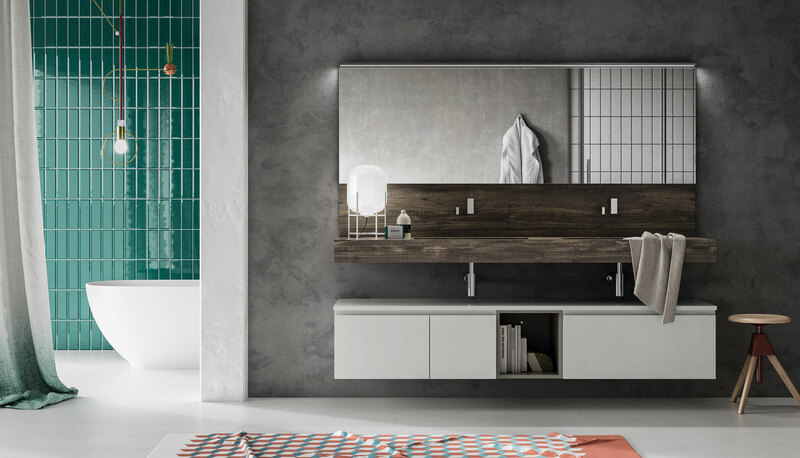 A configuration that makes a statement in terms of both size and presence, featuring a top housing twin basins that continues visually up the wall to the large mirror with the use of a panel in the same Old Wood HPL. 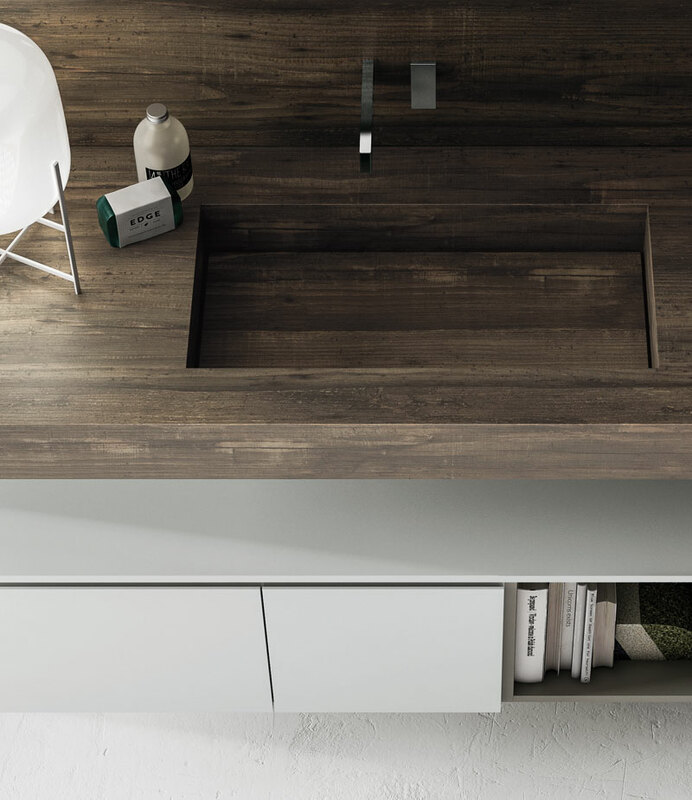 The open shelving breaks up the long base unit with drawers opened via recessed grips and also introduces a note of contrasting colour. 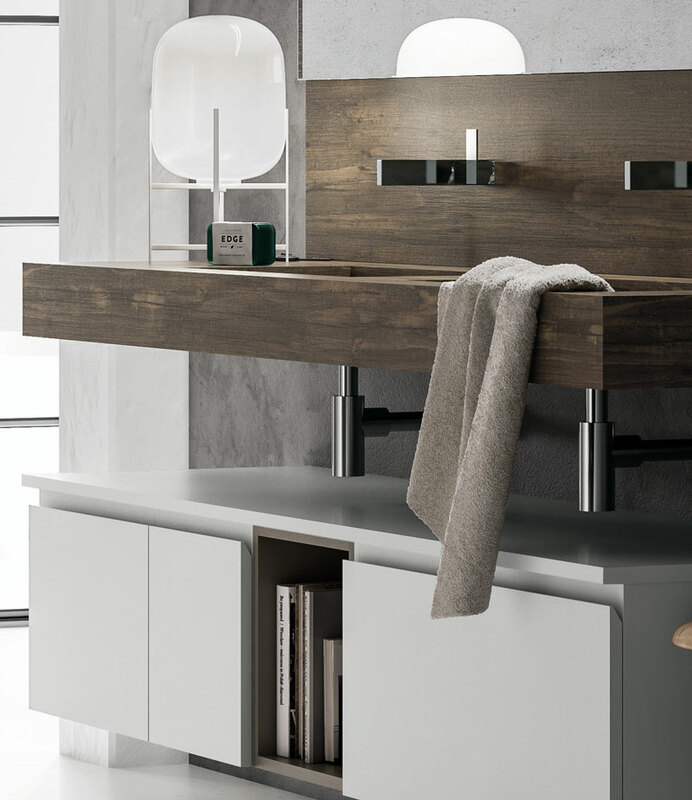 This solution stands out for the extremely clean look of the top: the mixers are wall mounted and the waste is invisible, concealed by the basin’s false bottom.